When I was in London, I heard one of the best performances of Vivaldi’s Four Seasons I will probably hear in my life. 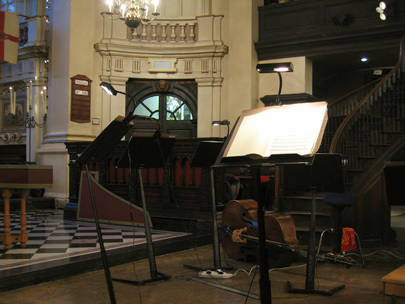 I bought a front row ticket to a concert by London Concertante at St. Martin-in-the-Fields, a famous church just off of Trafalgar Square. It was a fantastic performance; I was close enough to the lead violin to hit him with my hand. The soloist, Adam Summerhayes, was less than five feet away. It was as if they were playing just for me.